To be able to make sense of the current VSB budget situation, we need to first understand the jargon. In the following section, some often-used terms related to educational facilities are in bold and briefly explained. Operating capacity is the number of students a school building can accommodate based on the total number of classroom spaces as determined by criteria laid out by the provincial government. Gymnasiums, libraries, offices, and basic resource rooms are not counted as classrooms. is used to determine the operating capacity of the school. The formula itself is reasonable given current legal class size maximums, however, the methodology used to determine how classroom space is allocated, makes this calculation extremely problematic. This methodology for determining available classroom space does not recognize the importance of non-enrolling classrooms (not occupied all day by one group) within elementary schools. So specialty rooms for core curricular subjects like music and art are counted towards capacity calculations, as well as supplementary resource rooms such as sensory rooms or reading recovery spaces, which are particularly crucial for schools with high percentages of vulnerable children. Such schools are referred to as Tier 1, 2 and 3 schools. In secondary schools, capacity calculations do not recognize the varying class size or room occupancy needs of individual subject areas limiting the scope and quality of specialized instruction. The operating capacity formula and methodology can be found in the BC government's own Area Standards document (2003). The Area Standards document determines how space should be designated within a school and the allowable square footage for each space in new or replacement schools. This document severely limits the available physical space per child as compared to schools built for previous generations (newer schools are on average 30% smaller than older schools serving equivalent populations). Compare BC to the recommendations made by the Ontario School Board for space allocation; these recommendations recognize the importance of non-enrolling and specialised spaces within schools. Based on these criteria, the total operating capacity of Vancouver schools is currently calculated at 59,585. The total enrollment during the 2015/16 academic year was 50,387, including international students. Therefore, the district is considered to have a surplus capacity of 9,198—these are theoretical student “seats” that are considered to be unused. 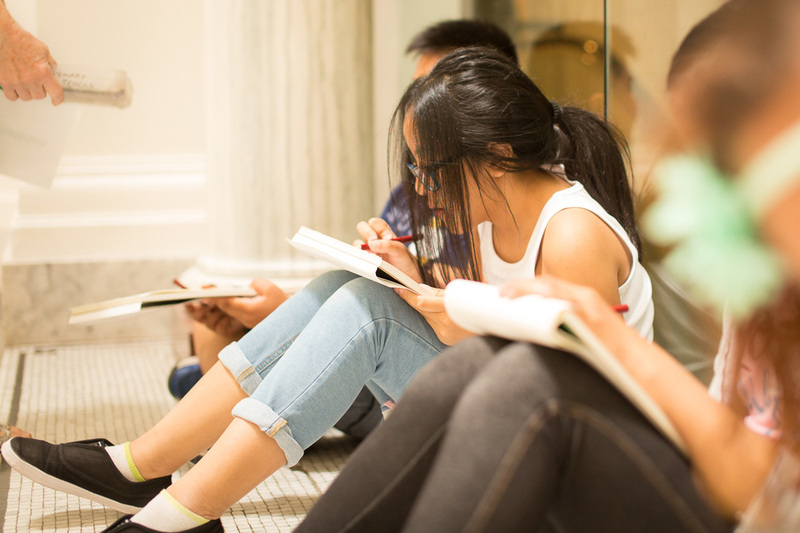 It is notable that the VSB's highest ever student enrollment was 57,585 students in 1997: 2,000 students short of this total operating capacity; this is one of the reasons why we find the discussion of current enrollment to be exaggerated and problematic. Capacity utilization of a school is calculated on the actual enrollment of a school as a percentage of its operational capacity. This means that Vancouver currently has a District-wide capacity utilization of about 85%. Compared to the provincial government’s imposed 95% capacity utilization target (discussed in detail in the next section), it would seem that the District is operating significantly under capacity. We reject this conclusion; there is no research or pedagogical evidence of any benefit to student learning when schools operate at 95% utilization. In elementary schools: Non-enrolling, specialty classrooms dedicated to core art and music instruction, supplemental resource space, and non-government preschools (not StrongStart) are all considered by the government to be “surplus space” (empty/unused capacity) for the purposes of calculating facilities usage. In secondary schools: Rooms designed for specialty classes, such as shop, foods, art, and science labs, are counted towards the total unused “surplus space” for the purpose of calculating utilization if they are not used 100% of the time. The illusion of “surplus space” is further exacerbated by increased class sizes. 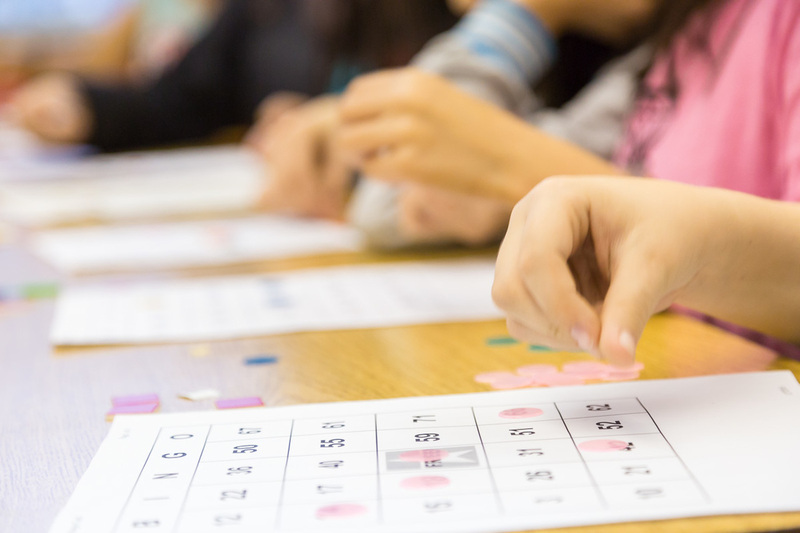 In elementary schools, the average class size in kindergarten has increased from 17.5 to 19.3 and primary classes from 20.3 to 21.5; in secondary schools, lab classrooms only designed for 24 or 26 students must now accommodate 30 or more students. Through information shared with us from the Ministry of Education, PAN has learned that for all schools, space repurposed for adult education, space used by District administration and learning services, space leased by community programs such as preschools, daycares, or Green Thumb Theatre, and even disused or condemned buildings on site are all counted in the operating capacity calculation as empty surplus space. In other words, the capacity utilization percentage of a school as determined by the government's criteria is totally misleading and does not accurately reflect how class space actually is, and should be, used. What does "95% capacity utilization" really mean? In 2014, the provincial government made a District-wide capacity-utilization target of 95% a mandatory condition for any further funding for seismic upgrading of school buildings, as outlined in a Memorandum of Understanding (MOU) document, which was signed by the then chair of the VSB. This 95% capacity-utilization imposed by the government means space — real space that is used and needed — is reduced or taken away from schools and will affect the quality of education for our children. The 95% capacity utilization target is an arbitrary mandate based on a profit-margin approach to efficient use of space, and does not reflect a desire to meet educational needs or priorities within schools. This capacity-utilization target, if enforced, will have serious consequences for the equitable provision of quality public education for all children. What does 95% capacity utilization look like in a school? have less flexibility for adjusting class size, resulting in larger class sizes. do not have adequate classroom or pull out space for schools with significant numbers of children with complex learning and social-emotional challenges, for whom smaller class sizes and additional space are a much needed resource. can only accommodate a special needs program if class sizes are increased across all other classes. do not have art or music classrooms (within elementary schools) unless they are designated within a new replacement school, further limiting teachers’ ability to provide quality programming for these core curricular subjects. is inconsistent with the vision of the recently introduced new provincial curriculum, which moves away from content-driven “seat work” to more project-based, hands-on learning designed to promote creativity, innovation, and critical thinking that would require more—not less—space to implement effectively. [i] A third of the student population in Vancouver is 'mobile' or attending schools other than their catchment school. Districts like Surrey that are meeting or exceeding ministry capacity rationalization targets are dealing with problems of overcrowding, student displacement and rotating timetables to manage enrollment because of the inherent lack of flexibility in a 95% capacity utilization target. For distribution of mobile student populations in Vancouver see Erick Villagomez, "Schooling Vancouver", Spacing Vancouver, June 29, 2015. Is the 95% capacity target flexible? The government insists that the 95% target is flexible, but when PAN pressed the Ministry’s office to articulate what this actually meant, we were told “It is important to note that the target of 95% and the methodology for determining both capacity and utilization are not flexible. However, “how” the School District manages the available space and programming to achieve this target is at the discretion of the School District, and allows for substantial discretion and flexibility. They may choose to operate some schools below the target, to accommodate alternate uses, while operating other schools above the target. The details of this is something you should engage directly with the School District as part of their current public consultation for their Long Range Facilities Plans”. Let's look at one particular area of instruction. The 95% target will have serious consequences for the delivery of any quality education in the arts. 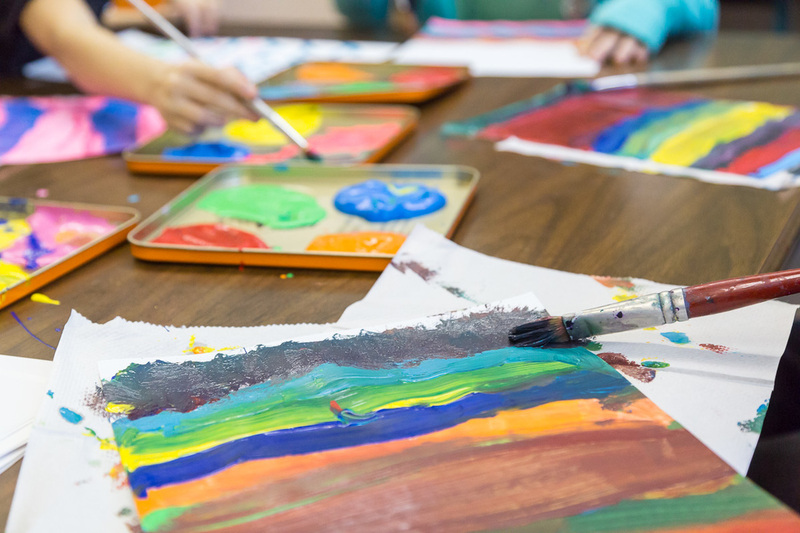 The Fine Arts are not “extras,” but are mandated core subjects within the BC curriculum that are crucial for both the intellectual and the social-emotional development of children. Both music and art are best taught in designated spaces that have appropriate furniture, storage, clean-up stations, and shared access to instruments, tools, and resources. In the early 1990s almost every elementary school in Vancouver had a dedicated music space. Most elementary schools also contained purpose-built art spaces, though most have since been converted into general classrooms due to the loss of specialized teachers. It is ironic that the provincial government is bent on eliminating creative spaces in schools at the same time that it is introducing the new curriculum which, with its focus on hands-on inquiry-based instruction, requires more spaces like these in order to succeed. If only a single music or art room was recognized as an essential, utilized educational space within each elementary school (as is standard in other provinces), this would account for 2,120 (91 x 23.29) of the “seats” that are currently considered empty, and would increase overall utilization in the District by 3.5%. The VSB currently offers 25 special-needs programs across the District, all of which require smaller class sizes to promote student success. The 95% capacity calculation does not make any accommodation for these children who need smaller class sizes (more space) to have their learning needs met: if a school hosts a special-needs District program that requires smaller class sizes, the difference in seat numbers is counted against the school as “surplus capacity.” Overall, this creates the equivalent of 15 extra classrooms, 350 “empty” seats, or a 0.6% reduction in capacity utilization across the District. Research shows conclusively that smaller schools with smaller class sizes have the greatest impact in mitigating the crippling impacts of poverty on learning outcomes for socio-economically disadvantaged children. Further to this, research also shows that strong education in the arts also has a significant impact on increasing life outcomes for disadvantaged children. In Vancouver, 18,450 children (22%) live in poverty. What the government considers “surplus space” in our inner-city schools is actually a vital component for providing the learning environment these children need to be successful. [See our discussion on Low Enrollment and Poverty on the Declining Enrollment page]. Another interesting fact in the First Call analysis of the 2015 BC Child Poverty Report Card - just over half, or 85,450 of these children, lived in Metro Vancouver. There is a crisis in BC due to lack of affordable regulated childcare. In a province with one of the highest levels of childhood poverty in the country (1 in 5 children), parents pay some of the highest fees for care, and use of unregulated, inadequate care is rampant. Early childhood education is widely recognized as a significant factor in reducing impacts of poverty through school readiness. But BC invests only 0.29% of its GDP in early childhood, well below UNICEF’s recommended minimum of 1%. The provincial government provides 19 free preschool or StrongStart programs in Vancouver schools for children in lower income families, but only with parental participation, and the programs are not accessible to all. There are also 29 other early childhood programs operating out of Vancouver schools, but they are not recognized by the government as legitimate use of space for the purpose of calculating capacity utilization. It is unreasonable for the government to seek to eliminate rather than expand the provision of early childhood education within schools that have the space to accommodate it. If every elementary school provided a single classroom for early childhood learning or care, and it was recognized as legitimate use of space, a further 2,120 (91x 23.29) empty seats would be considered occupied, the need for convenient low cost childcare would be (at least partly) met, and future enrollment of students in neighbourhood schools would be more likely as they could progress from preschool to kindergarten in the same building.